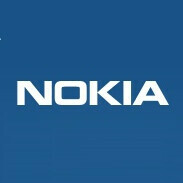 Since its first installment in 2006, Nokia World has been an event bringing together thousands of people excited about the Finnish phone maker's latest and greatest devices. And this year will probably be no exception, which is why we are looking forward to the event's launch. This year, Nokia World will be hosted on September 25 and 26, as it has just been announced, and Helsinki, Finland, is the city where the event will take place. Pretty good choice, we have to admit, as Helsinki is not only considered Nokia's "home turf", but is also given the prestigious title of World Design Capital for 2012. Now, what Nokia is planning on unveiling at the event is not exactly clear, and it is probably way too early to know for sure. However, judging by what the company unveiled last year, namely the Lumia family of Windows Phone handsets and the affordable Asha lineup, we expect the event to be quite exciting. Will it be a Windows Phone device with a camera sensor similar to the one found on the Nokia 808 PureView, or will it be a smartphone running Windows Phone Apollo? Only time will tell, but until then, feel free to drop a comment below and make a guess. I believe we will see at the Nokia World 2012 the second WP I will own, the Nokia Lumia Apollo with PureView! LOL! Nokia please release a 10.1" Windows 8 Skype Tablet 4G+WiFi+voice with the PureView 41MP sensor on your Nokia World 2012 event!